The TestostaTones cover an extensive amount of songs covering many styles and genres. From brand-new contemporary songs – Doo-Wop classics – Disney – Motown and Rock ‘n’ Roll among others. The following is a selection of some of the songs we cover – not our full list but just some of the highlights. For your wedding, we will create the perfect set-list to make sure that everybody present will hear songs they know and love – from the youngest child to the oldest guest and we’ll be sure to have them smiling and joining in. What could be more unique and memorable than having your first dance arranged specifically for you and sung live? We can cover any song; either making a faithful recreation of the original or arranging a bespoke cover version that will be completely unique for you and your day. Whether slow and romantic or upbeat and fun, acapella, with a backing track or live band – it’s your day and it’s your choice. 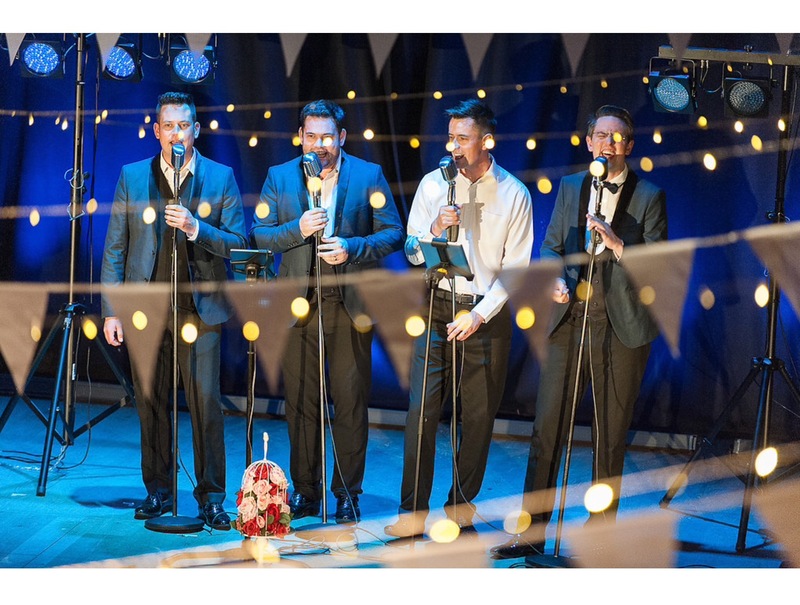 The TestostaTones also specialise in corporate jingles, ice-breakers and stings; written, performed or recorded according to the brief of your corporate event, trade-show or exhibition. They have composed and recorded jingles for many national companies for use on radio, TV and web and have also fronted advertising campaigns for experiential marketing for national brand names. We cover a huge range of Christmas songs and festive music. From Doo-Wop – ’80s & ’90s Chrstmas Number #1’s – Christmas Carols and Sacred music. Please get in touch if you’d like to find out more about about our standard or Christmas repertoire or would like to explain about a special song you’d like us to cover for your wedding or corporate event.